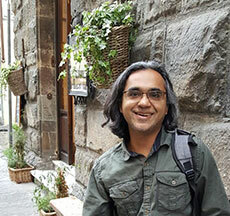 Naushad's exposure to international medicine goes back to his medical school training at Dow medical college in Karachi, Pakistan. It was here, he was exposed to the challenges of communicable and non-communicable disease management in the underdeveloped part of the country. He actively took part in Polio eradication campaigns organized by WHO. He did his Family Medicine Residency at Florida Hospital in Orlando and did a tropical medicine rotation in Guam in his senior year. He became the first family medicine trained hospitalist in one of the bigger tertiary care center in central Florida, and there by paved the path for many more to come. Here he was nominated vice-chairman of the department of family medicine in 2013, a post he held until the start of his fellowship in Global Health at CCRMC. In his "spare" time, he provides medical services to the villages along the tributaries of the Amazon River in Peru. Naushad will be presenting at the AAFP Global Health conference this year as well. Beside work, Naushad is an avid kiteboarder who loves to show-off a trick or two on the water. He also enjoys gardening and portrait sketching. Kaya Belknap is a recent CCRMC grad from 2017. She grew up in Kenya and South Sudan and then moved to Arizona to attend both college and medical school at the University of Arizona. She has a passion for primary care integrated with public health and working with the underserved. She plans to return to South Sudan to serve as a full spectrum family doc. CCRMC's global health fellowship and the skills she will gain from this will bring her closer to her goal of returning home. Liz is a 2016 graduate from Contra Costa Family Medicine Residency. She originally hails from Ripon, CA (one hour east of Martinez), and studied Biology/Chemistry at Point Loma Nazarene University, in San Diego, CA. Her interest in global health and health equities started there, where she became a member of the City Heights community (a large beautiful and diverse refugee resettlement area). She remained in San Diego for medical school at UCSD, was involved in the PRIME Health Equities Program, and learned to love Border Health working with the UCSD Student Run Free Clinic. 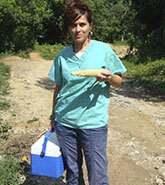 Her global health work began with an NGO in rural Guatemala (Voces y Manos por el Derecho a la Salud). During medical school, Liz received her MPH, and though specifically concentrating on health and social behavior, she took many global health classes and was inspired by leaders in global health and politics. Outside of medicine, Liz loves surfing and skateboarding, reading novels, and sipping good coffee in the sun. 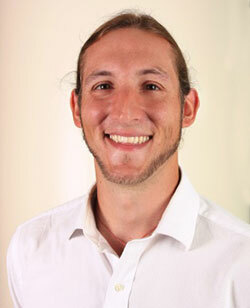 Thomas Betjeman graduated from the University of New Mexico Rural Family Medicine Residency in Santa Fe in 2017. He first became interested in global health after serving as a Peace Corps volunteer in the agriculture sector in Mali 2003-2005. Since then he returned to Africa as a consultant to the Guinea Worm eradication program with the Carter Center as well as leading a public health expedition for Putney student travel. He studied medicine at the Medical School for International Health in Beer Sheva, Israel and took a year between third and fourth years to work on implementing the UN Millennium Development goals in Central Java, Indonesia. More recently he has been working in Iquitos, Peru on the development of rural family medicine focusing on the provision of services to the many indigenous communities of the Peruvian Amazon. 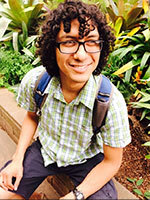 He has a special interest in ethnobotany/ethnomedicine and plans to return to Peru as a CCRMC Global Health fellow this year. Brea hails from the Sacramento area. She pursued her medical studies at the Latin American School of Medicine in Havana, Cuba. Following graduation, she continued to serve as a mentor for medical students in Cuba, leading several workshops on women's health issues for medical students. As a family medicine resident, her interests led her to clinical work with indigenous Mapuche in Chile, Los Medicos Voladores in rural Mexico, and Partners in Health in Chiapas. Her global health fellowship year was spent working in Chiapas and attending on the medical/surgical service at Contra Costa. She continues to facilitate resident educational opportunities in Chiapas. Outside of medicine, she enjoys swimming, visual art, antiques and literature. Androuw is a 2017 graduate of the University of Arizona Family Medicine Residency. He spent his most telling years growing up in Tucson, Arizona. He studied physiology at the University of Arizona, medicine at Michigan State University, and everything else at YouTube.com. His passion in global health started in border health and health literacy issues as a Rotary Club Scholar in undergrad. Through the Leadership in Medicine for the Underserved (LMU) program at his medical school, he did his clinical years in Flint, Michigan, several clinical training in Uganda, Africa and Papua New Guinea, and several core clinical rotations in rural Michigan. In residency, he worked in Indian Health Service sites and developed his residencies first formal Point of Care Ultrasound (POCUS) for Family Medicine curriculum. He enjoys cycling (road/tour/mountain), acoustic guitar, food of any kind and at any time. He is interested in promoting family medicine and teaching POCUS for primary care providers. Emily is a recent graduate of the Contra Costa Family Medicine Residency program and currently a Contra Costa/UCSF Global Health Fellow. Her interest in addressing health inequities began while working with communities on Native American reservations during high school. After completing her undergraduate degree at Tulane University in New Orleans, she completed her MPH at U.C. Berkeley studying infectious diseases. She developed a strong sympathy for and commitment to health and human rights after witnessing human rights abuses during an MPH project in Zimbabwe. Her passion for working with populations experiencing and recovering from conflict led to her participation in a neglected tropical-disease project in Sierra Leone during medical school and various projects with Village Health Works in Burundi during residency. As a Global Health Fellow, she plans to work in Malawi supporting family medicine education and capacity building, with hopes of also returning to Burundi. She remains passionate about health and human rights and health inequities, as well as family-medicine education and volunteering with asylum seekers. Outside of medicine, she enjoys urban homesteading, cooking, running and wood working. Dr. Fentress attended medical school at the University of California Davis, subsequently joining CCRMC for residency. 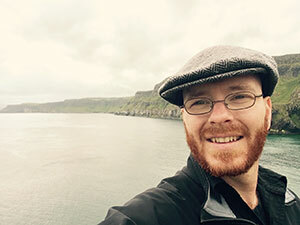 As a resident, Dr. Fentress co-founded the global health track at CCRMC, which enabled him to participate in clinical rotations in Malawi, Tanzania, and Haiti. Upon graduation, he served as a global health fellow, working with the MGH/CCRMC partnership in South Sudan where he trained South Sudanese medical students and junior physicians in the Juba Teaching Hospital. During his second year of fellowship, he focused on ultrasound skill development and teaching, spending his time abroad volunteering in a hospital in northern India serving the Tibetan refugee community in exile. After fellowship, Dr. Fentress joined Medecins Sans Frontieres, serving in missions in Myanmar and South Sudan, and subsequently worked in Liberia during the Ebola epidemic with Last Mile Health, an affiliate of Partners in Health. Dr. Fentress is currently the medical director of a homeless clinic in downtown Oakland and continues to work in the emergency department at CCRMC. Ben Huntley completed his family medicine residency and obstetrics fellowship training at John Peter Smith Hospital in Fort Worth, Texas. He is joining us for a PGY-5 year as a Global Health Fellow. His primary interest abroad is in the teaching and provision of direct maternity care, including prenatal care, ultrasound (dating, anatomy and growth scans), labor management, and delivery (spontaneous vaginal, operative and surgical). Other related interests include family planning and cervical cancer screening. The brunt of his surgical training included mandatory operative fellowship months at Mulago Hospital in Kampala, Uganda, which is among the busiest labor and delivery wards in the world. He is an ALSO Instructor and enjoys teaching in domestic and international settings. When not in maternity, he enjoys general adult inpatient medicine. Dr. Huntley holds a Certificate of Knowledge in Trop Med from the American Society of Tropical Medicine and Hygiene. In addition to the three months he recently spent representing Contra Costa at the Partners In Health site in Malawi, his clinical travels have previously taken him to Ecuador, Ghana, and Palestine. A native of Iowa City, Ben's interests outside medicine include running, mountain biking, cooking, baking, checking scores on ESPN and checking headlines in the New York Times. Dr. Montandon received her medical degree from the University of California, San Francisco, with an area of concentration in global health. 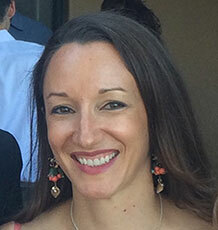 She completed residency training in family medicine at the Contra Costa Regional Medical Center. 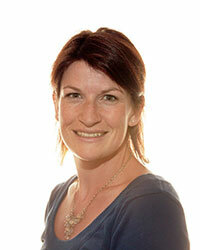 During her training, she volunteered clinically and conducted HIV research in Kenya and Uganda. 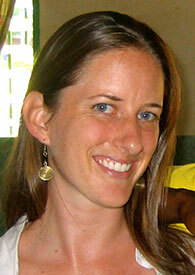 After residency, she worked with Doctors Without Borders in Lagos, Nigeria. Her international health interests include improvement of primary health care systems and medical education, particularly the training of highly skilled general practitioners and physician leaders for work in rural, physician-poor areas. Through this fellowship, she has worked on medical education programs in Juba, South Sudan and Sagam, Kenya. A native of South Texas, Dr. Pierce completed his undergraduate studies at the University of Texas-Pan American and his medical degree at Baylor College of Medicine. After completing his training at the Santa Rosa Family Medicine Residency in 2007, he worked in Lesotho for a year as part of the Baylor College of Medicine Pediatric AIDS Corps. Since then, he has divided his time between working in Northern California and working as the director of education for World Altering Medicine, an NGO mainly focused on helping a community in central Malawi. 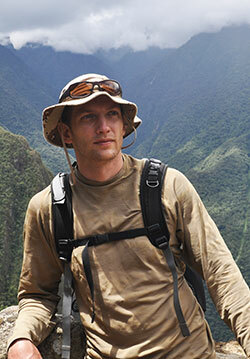 In addition to his experience in southern Africa, Pierce has worked in Kenya, South Sudan, Mexico, Honduras, El Salvador, Guatemala, Peruand the Philippines. His medical interests include high-risk obstetrics, HIV and tropical medicine. He is dedicated to addressing health care needs in the developing world primarily through the teaching of medical practitioners. The seed for global health was first planted as a child growing up in the rural Philippines bearing witness to the stories of relatives whose lives were lost as a direct result of poverty. As an undergraduate at Brown, Mena worked with community health organizations in the Philippines and in Ghana, exploring social determinants of health in a community with Hansen's disease in Manila and in a fishing community in the Volta Region of Ghana. Her path led her to study medicine at the Latin American School of Medicine in Havana, Cuba, where she was inspired and humbled by the commitment of a government to provide basic healthcare for all despite political and economic constraints. She was privileged to study alongside thousands of students from South America, Central America and Africa, becoming part of the much needed global health workforce. She completed her family medicine training at Contra Costa where she nurtured her interest for teaching by facilitating workshops in women's health for community health workers in India and ultrasound training for family medicine residents. As a global health fellow, Mena will be working with PIH to strengthen family medicine and ultrasound training for medical students in Malawi. Outside of medicine, Mena loves playing Afro-Cuban percussion, congas, batá, salsa dancing, doing triathlons and learning new languages. Bradley Randles is a 2012 graduate of the Contra Costa Family Medicine Residency. His primary interests are in teaching clinic skills in resource poor settings, teaching principles of public health, and continuing to learn about the wide field of global medicine. Bradley's clinical experiences began in the West African country of The Gambia as a public health intern during his undergraduate years. In the Guatemalan highlands, he learned about the basics of primary care with a nurse practitioner. He finished his MPH and MD at the University of Iowa and learned principles of epidemiology while studying H5N1 in Thailand for a semester. Last year, he worked in Mexico with Partners in Health. He states, "I continue to draw inspiration and joy from my experiences in Global Health and with my colleagues at CCRMC." A graduate of Contra Costa Family Medicine Residency Program, Jay has spent 18 months in Malawi doing pediatric malnutrition research for the World Health Organization, as well clinical medicine with Partners in Health. Has also spent time in Sagam, Kenya (clinical medicine), Haiti (TB project), as well as a year in Egypt as a clinic volunteer before medical school. He is interested in comprehensive primary care and longitudinal institutional project presence at global health sites. Dr. Stanger graduated from medical school at the University of California, San Francisco before joining CCRMC for residency. As a resident, Dr. Stanger's work abroad included relief work in post-earthquake Haiti, inpatient adult medicine for a district hospital in Malawi, and volunteer work in South Sudan, Uganda and Kenya that included teaching ultrasound. During her year as a global health fellow, she volunteered abroad in a hospital with the Tibetan refugee population in northwestern India. Her work as a resident and fellow focused upon developing the global health program curriculum at CCRMC. Subsequent to fellowship, Dr. Stanger brought her training in underserved medicine closer to home, where she now serves as medical director of La Clinica de la Raza, a safety-net FQHC in Vallejo, CA. Erin became inspired to pursue a career in medicine and global health after several formative immersion experiences in El Salvador, Guatemala, and Mexico while in college. After graduation, she took a position as a Community Health Peace Corps volunteer in Peru where she spent 27 of the best months of her life. Upon return, she trudged through medical school at Loyola University Chicago, focusing on forming a longitudinal medical Spanish program and supporting their fledgling global health program. She found time to pursue medical projects in Cuba, Nicaragua, Costa Rica, India and Peru. She returns to Peru every two years, spending time both in the Andes at her Peace Corps site, and in the Amazon, supporting a long term clinic in the region. Residency at Contra Costa Regional Medical Center (CCRMC) gave her the opportunity to return to Peru, as well as spend six weeks at Kijabe Hospital in Kenya. Erin became a Global Health Fellow at CCRMC because she can't imagine a career in medicine not linked to global health. Her specific passions within global health include supporting sustainable projects developed by locals, providing technical training for providers in low-resource settings and promoting family-medicine training worldwide. 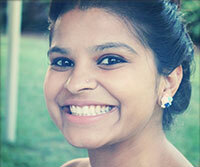 Priyanka's interest in global health started in college where she majored in Public Health. 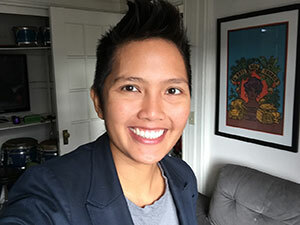 Her college experiences with the underserved communities of Philadelphia pushed her to think beyond country borders and find a way to mix her interests in public health with medicine. In medical school, she spent a summer in a small mountain village in South Africa working with other clinicians to develop a better tuberculosis treatment monitoring program at a local hospital. She spent a few months working in India at a government hospital as well; again working with marginalized patients in the worst of situations. She was able to spend a month in Xela, Guatemala, working on her Spanish and working at a local clinic. During her residency in Boston, she was able to continue working in the global health field through the Refugee Center at Boston Medical Center. Here, she worked with FGM patients and assisted in creating affidavits for those refugees seeking asylum. She worked with family medicine physicians who focused on refugee health as well. As a global health fellow, she has dedicated her time to the program development of the first Family Medicine and Emergency Medicine Residency Program in Africa, which is located at a rural hospital in Sagam, Kenya. There, she works as an attending physician for the residents in the program and continues to work on system issues at the hospital; along with continuing to improve the nuts and bolts of the residency program. She particularly interested in chronic care management in developing countries as chronic diseases begin to place a significant burden on healthcare systems in the region. While at CCRMC, she works as a hospitalist on the teaching services. Priyanka is an avid football fan and cannot leave the house without ketchup.